Last night, a regular customer told me, to look at the moon because it has an amazing view. He even tried to convinced other regular customer in the internet shop to watch it, once in your life. And so we did! It was beautiful and so amazing. I never saw like that in my entire life. Take a look at the top of the Mosque (a Muslim church). The star is like on top of the moon. The star-like is much nearer than the photo above. 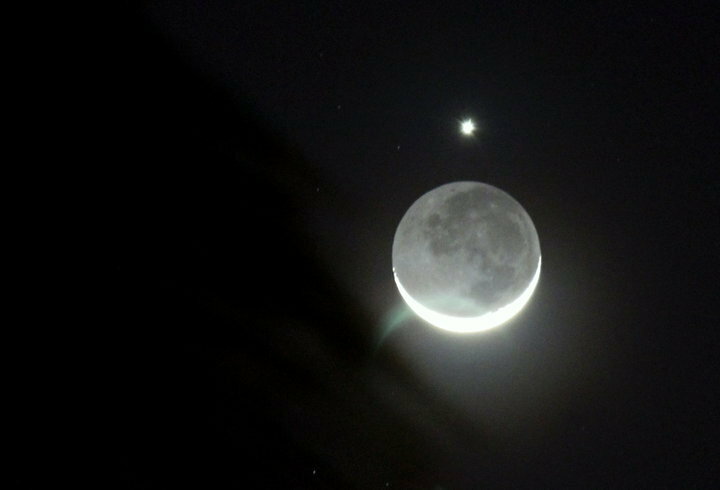 One commented that it is a Venus planet on top of the moon. Perhaps but let's hear more from the scientists. Now, I wonder if it's only in the Philippines. Most of the reactions comes from the Filipinos. I enjoyed being here.. Nice Blog, Great article, so personal.